Redwire were great, very responsive, insightful and have given a site that our Members are proud of. The European Federation of Foundation Contractors represents 16 European National Federations across Europe. It works to promote the common interests of its Members by improving the standard of workmanship, technical competence, safety and innovation for specialist foundation contractors across Europe. 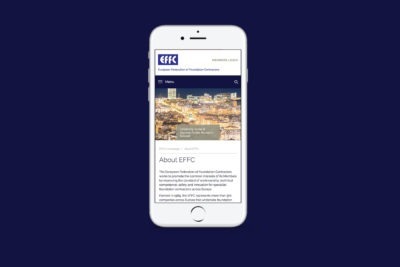 Their website features fully responsive templates, secure members area and database of detailed guidance documents on health, safety, technical and contractual topics.